Empowerment 4 Girls educates, inspires and empowers girls and women to cultivate confidence, develop core life skills and reawaken to their authentic power. Educates girls about what it means to take care of and value ones’ self and others and the relationships we build throughout our lives. Inspires girls to develop skills and habits that support and nurture their physical, emotional and mental well-being. Empowers girls to be advocates for themselves and others, and their community to help build a more conscious, compassionate future. 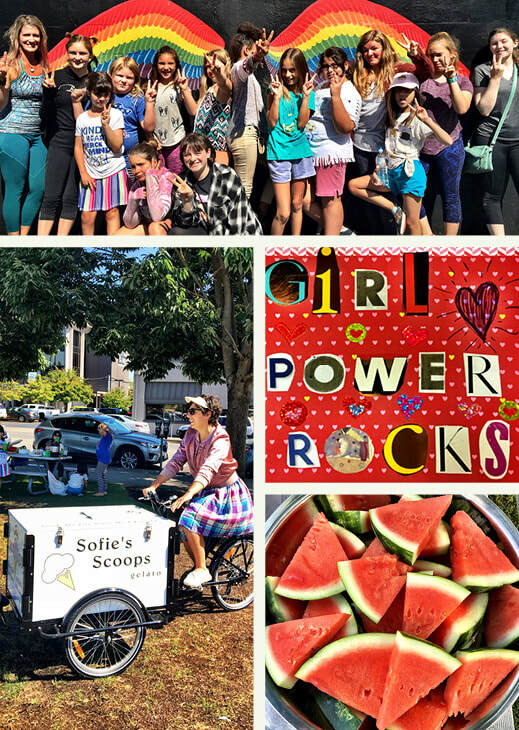 Empowerment Camps became available to families throughout Thurston County (and the greater Puget Sound Region) in 2012 through Sacred Awakenings, a sole proprietorship owned by Kristen Rubis, Founder and Executive Director of Empowerment 4 Girls. Kristen holds a BA degree from The Evergreen State College with a focus in Alternative Education and Childhood Development. She crafted the Empowerment Camp curriculum based on that training, her yoga and meditation training, and her response to the work she did in the Olympia School District as a para-educator. As the word spread about the work she was doing and demand for her camps grew each year, the need to expand the reach of the program was limited by Kristen’s own capacity to offer sliding scale registration fees to families, and stay economically viable herself. In 2016 she made the decision, with the support of a group of women who became the founding Board of Directors, to start Empowerment 4 Girls as a nonprofit organization and transfer the empowerment camp curricula and programs to that new organization. Empowerment 4 Girls received notification of their status as a 501(c)(3) tax-exempt organization from the IRS in September 2017. We see the power of helping girls find their inner strength and confidence in their ability to safely navigate life and heal from its tragedies and sorrows, sometimes transforming before our eyes in the course of one week. 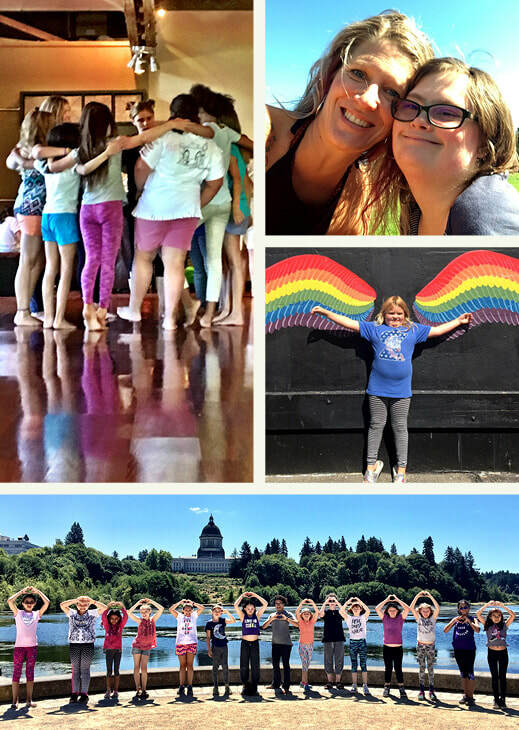 Since beginning camps in 2017 as Empowerment 4 Girls we have seen more families bring girls to camps who are at risk of, or already have experienced, domestic and/or sexual abuse or violence, than when our programs began. We have seen firsthand that important messaging and skill building around personal body boundaries, safety and care is not getting shared, or is not getting through, to anyone involved in those situations.